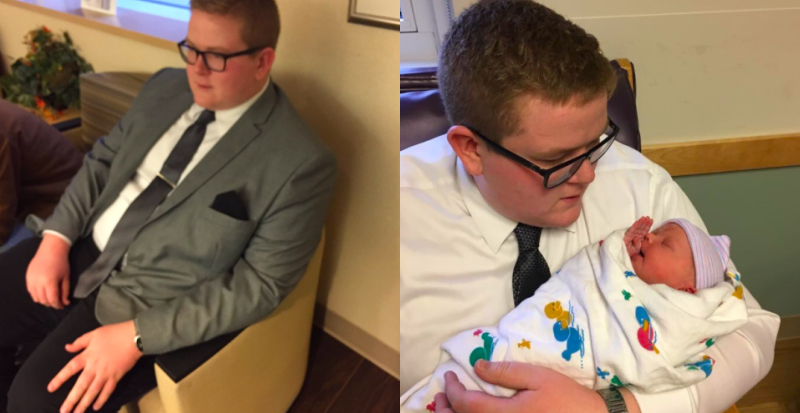 Uncle wears suit to meet newborn niece because "first impressions matter"
This gent dressed “smart and professional” for his tiny niece’s arrival, instantly marking himself as a pro-uncle and all ’round darling guy. Iris Kessler shared her brother’s sartorial response to the impending birth of their baby niece via Twitter on 3 January. 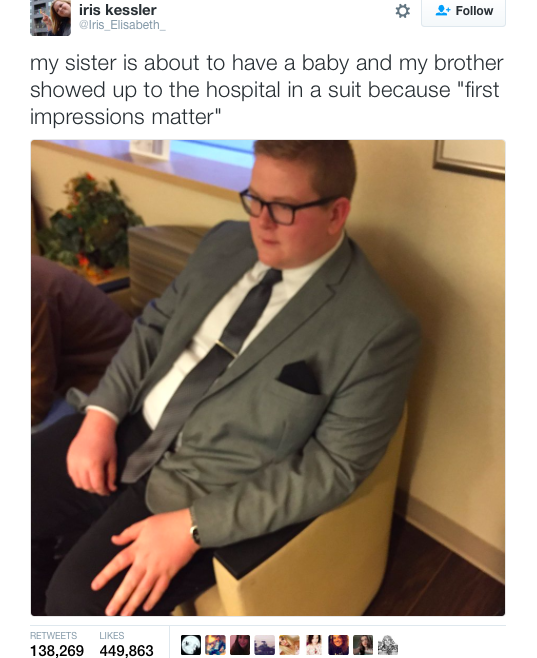 “My sister is about to have a baby and my brother showed up to the hospital in a suit because ‘first impressions matter’,” Iris posted. Indeed, first impressions truly do count, and in a society obsessed with activewear and drop-crotch pants, it’s refreshing to note that some people still adhere to a more tidy approach to style and occasion. Some people are setting bar much, much higher and it’s not going unnoticed. 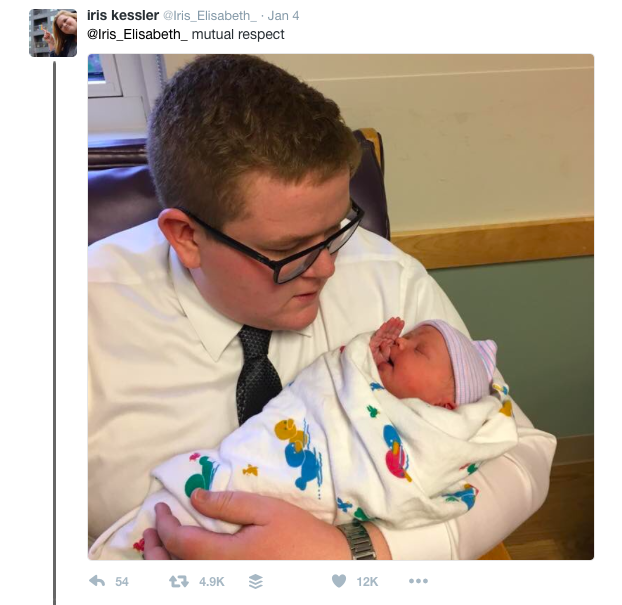 Twitter lit up with approving responses to this adorable uncle-shaped breath of fresh air, with thousands of people across the globe marking their hearts as well and truly warmed. “Your brother is the most adorable thing to happen all year. And congratulations on the addition to your family,” tweeted @GinnyLurcock on seeing Iris’s snap. “I love this so much. Your brother is an absolute gentleman,” @WaldramSimon tweeted. It seems that looking the part served to bolster the feel-goods nicely when uncle and niece finally met. Iris posted a follow-up shot of her brother cradling the tiny tot in his arms and it’s fair to say that the pair looked to be settling into their new-found roles like champs. Congratulations to this funny and fashion-forward family on the birth of this tiny new person!